COMMENTS: The top 10 does not change a lot this time around. Burke won the Metro Meet, narrowly beating Millard South, and Kearney won the HAC meet. I feel the State Class A Team title is up for grabs with the top 3-5 teams above, with the bottom half filled with solid teams with 3-6 individual medalists. Burke definitely has the high end firepower to get it done, with 3 strong favorites to win individual titles in the Burks boys and Miller. Should be a great finish to an excellent competitive season! 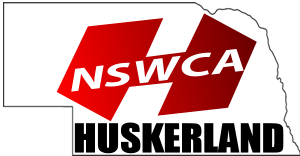 COMMENTS: I went with the NSAA online rankings here, from #1 to #10. This ends this weekend, so the last duals are being competed this week. The points stop Saturday, January 26…1 week before the State Duals February 9. I can say this….there are A LOT of teams not in the top 8 that are/were close! It will be interesting to see how the new date works this year……I have talked to a number of coaches who don’t like the new date, over injury concerns before Districts the next weekend. It is what it is……. COMMENTS: Grice stays atop 106, although he has not wrestled for 2 weeks. Should be back soon. Really have not seen the western competition, so interesting weight class. COMMENTS: Grice goes to #1 on the strength of his 1 – 0 win over Haynes in the Metro finals. Collegiate style match…intense! Hopefully these 2 are separated at State, and meet in the Finals, as it should be. Again, have not seen the couple western kids, so a bit of a mystery. COMMENTS: Burks stays #1 after his dominating Metro win. Could be anybody against him in State Finals….lots of guys hoping they are on the opposite side of the bracket! Allerheiligen jumps in after his 2nd place behind Burks at Metro, with May entering after his 3rd at Metro. COMMENTS: Knopick moves to #1 after beating Niemic and Sturdivant at Metros for the title. The Metro is loaded at 126! This is perhaps the most competitive weight in Class A…you medal here – you have done something! COMMENTS: Moomey still rests atop 132….prohibitive favorite! His recent dual win over Mayfield at 138 was the stuff of legend. Very competitive after him for State medals, with several other very good kids not ranked here right now. COMMENTS: Mayfield still number 1. Antoniak is tough…but Mayfield already handles him in December 11 – 3. Lots of good competition and depth at 138! COMMENTS: James still #1, with Levi May making a big jump after beating Baughman 6 – 3 to win the Metro title. May put time in last summer, going to the Disney Duals, so he deserves what he gets. Some depth at 145 also! COMMENTS: Fry is back….pinning everybody like he was never out all 1st Semester! He pinned #2 Stapleton his first meet back, and usually his matches are done in under a minute. STUD. Price beat Irizarry close at Metro to make the finals, so he goes to #3, with Metro champ Stapleton #2. Playing for 2nd at this weight barring injury. COMMENTS: Likewise, everybody playing for 2nd here, hoping to be opposite Burks at State. Burks won his Metro title 13 – 7 over #2 Kirk, handing the Storm wrestler his only seasonal loss. A nice mix of good kids in the west and the east at 160. COMMENTS: 170 after Alford is a mix of solid kids who could beat each other on a given day. Should make for a great State meet! COMMENTS: Trumble wins his 2nd straight Metro title…they call him “the Punisher”…BUT…he is absolutely one of the nicest wrestlers I know in NE. Deserves everything he gets, and that is a lot! Linear missed Metros, so did not see how they stack up….will be interesting to see if Zwingman can test him at State. COMMENTS: Miller still dominating at 195…rolling through the Metro meet, pinning #2 Trumble in the process. Tough. There are several other 195s in Class A who could make the podium in February in Omaha…..should be a good weight to watch! COMMENTS: A very competitive weight, one that features 3-4 kids who could legitimately win the State title….very few weights like this in Class A, in my opinion. Finally saw Walker of Bryan, and he lived up to the hype, splitting with previous #1 Pray at Metros, losing to Peitzmier in sudden victory in the Finals….Walker is for real. I honestly think any one of the top 4 could win this weight class…..mark my words come Omaha! COMMENTS: Cowling remains #1 all season, currently unbeaten. The Metro meet was a brawl at Hwt, with several great matches. Hasz won close over #3 Haberman, and Burke and Central got 3rd and 4th at Metro. Solid, deep weight class! Interesting Picks for your 195… Huber doesn’t wrestle much in the class A area. Daylon lost a lot over the weekend, his record was always so-so. J. Hilding does belong there, yes. He was beat, by the Waller kid from Northstar Highschool in early January. A. Stege is still going at a steady pace. Stege and the Waller Kid were both undefeated at the Northeast Duos. Unless your thoughts are that the Lincoln kids shouldn’t be in the rankings, they’ve to me pretty much solidified and earned their rightful spots.